Looking to get your projector professionaly installed? 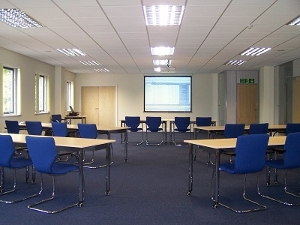 AV Installs can wall or ceiling mount your projector and provide a complete cable management and input plate solution. No more messy cables or having to set up and calibrate the projector each time you want to give a presenatation, just a few of the benifits from having your projector professional installated by AV Installs. 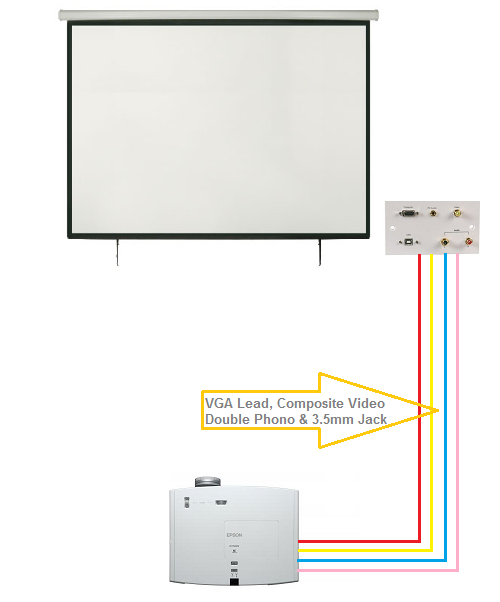 Absolutely everything required to get your projector installed and reasdy to deliver first class presenations is included in this package. The standard service comes complete with a full cable managment solution all cables will be contained in 25mm x 16mm white plastic trunking. Trunking will be installed neatly and will follow the natural line of the room. Trunking will be kept to a minimum and be as discreet as possible, all trunking accesories required will be supplied. AV installs where possible will run cables in ceiling voids or above suspended ceiling and avoid the use of plastic cable cover wherever practicaly possible. The connection plate is wall mounted at a location agreed with the customer this is normaly near the computer or presenter position.